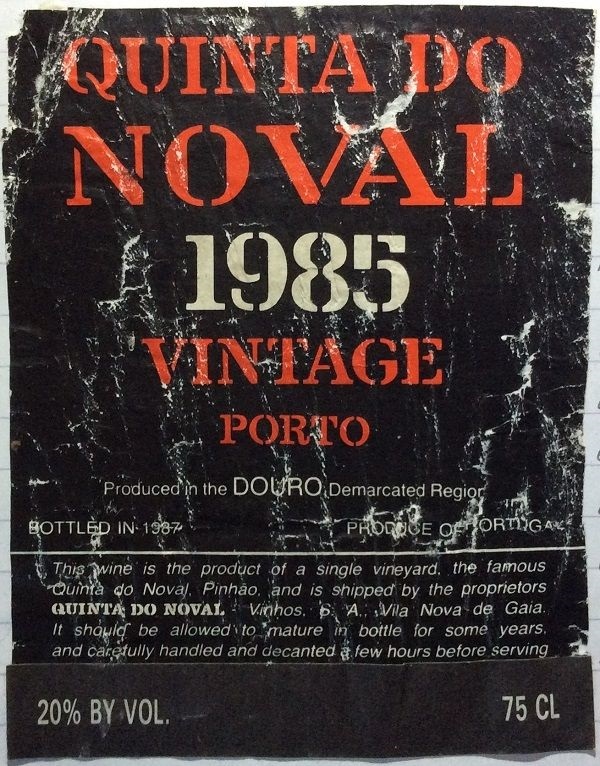 Not a renowned vintage for Noval, as they were going through a lean period, pre-AXA, and this is starting to show its age. Nevertheless, it was quite nice and complex, and a good way to close out Booker dinner. Just Taylor’s 1985 it ain’t! Medium-depth garnet. A minty, lifted note over light cinnamon and floral aromatics. Redcurrant, strawberry and blackberry emerge, then fig – more fresh than baked. Vanilla-laced, spicy hints too. Moderate intensity. Sweet, but not overly so. Silky, smooth tannin in the background. Cooked strawberries, cinnamon and cakebread flavours. Not the power or depth of a great Vintage Port though, and alcohol becomes quite prominent at the medium+ finish.